Welcome to Week in the Life 2014. If you haven’t heard about Week In the Life before, Week In the Life is a week-long memory keeping project hosted by Ali Edwards where the goal is to capture a week in your life using photos + words. This year she is running WITL from Monday, October 27th to Sunday, November 2nd, which makes Monday Day 1. I participated in Week In the Life back in July 2011 and I loved the end result so much I’ve been dying to do it again. I made plans in both 2012 and 2013 to do it again but each time I got about a day into it and realized enough time hadn’t passed for me to feel inspired by the project again. I felt like I was taking the same photos and telling the same story and it just wasn’t inspiring to me. To prepare myself for Week In the Life 2014, I looked through all of my previous Week In the Life posts as well as my 2011 WITL photo book, and I realized something: finding a balance between fresh and new and what’s worked for me in the past is going to be key. Capture photos next week: Next week is the official Week In the Life capture week and I’ll be taking all of my photos during the week as well. Although I’m sure I’ll use my iPhone camera quite a bit because it’s quick and easy, my goal is to focus on using my DSLR. I’m currently stalking the UPS man waiting patiently for my brand new, shiny Canon 6D to arrive so I expect this goal will be quite easy! Divide my day into sections: One of the best decisions I made for WITL 2011 was to divide my day up into sections (morning, afternoon, evening) and focus on capturing two of the three sections each day, rather than trying to capture every minute of every day for a week straight – which gets old after awhile. This allowed me to avoid taking the same photos every day (like my morning routine) while still getting a clear picture of our life over the course of the week. Focus on words + photos: For the design, clean & simple was my motto in 2011 and it’ll be again this time as well. As much as I love playing with digital scrapbooking products, I know myself well enough to know I’ll never get this project done if I don’t keep the design simple. Create using InDesign: Adobe InDesign is my go-to tool for projects like this because the multipage format makes it so much easier to put the book together than creating the pages individually in Photoshop. I’ve already mocked up a basic design to use for my album (sneak peek above!) but I’m open to switching things up if I change my mind based on my photos. Print as a photo book: In 2011 I printed my album as an 8×10 Blurb book which I loved and may do again, but I’m also toying with doing a 6×8 Artifact Uprising soft cover book instead just to switch things up. I’m a bit undecided about the smaller size and I do love the idea of the two books being the same, so I plan to see how my photo-taking goes for the week and then decide when I get to the creation phase. Set myself a deadline: I’m horrible about keeping deadlines I set for myself, but I also don’t want this project to end up in the “unfinished projects pile.” So my goal is to have my WITL 2014 album completed and printed before I start my Holiday Faves album in mid-November (no later than Thanksgiving). Once I start on something new I know I won’t want to come back to it so it’s best to finish it before then. 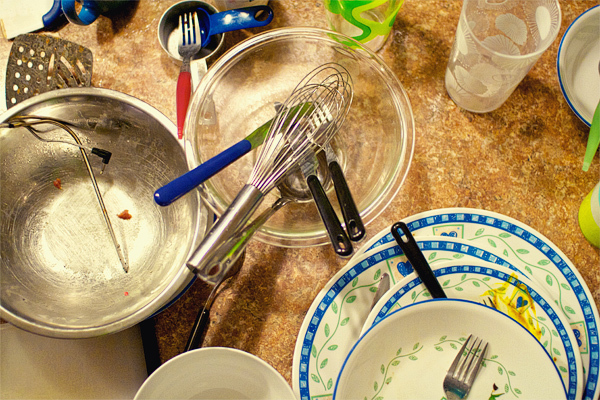 Clean up our apartment over the weekend: Yep, no shame here. I’m all for keeping it real but a little less clutter around our small apartment would be nice. If I’m feeling extra gung-ho I may even try to finish up the last few home tasks that have been hanging around my todo list since we moved in over a year ago. Nothing like a week long photo session to jumpstart the ol’ productivity, right? I admit I’m feeling a little nervous about Week In the Life this go around. Overall, I feel good about my plan, even if it’s a little up in the air for my taste, and I know this project is going to be a lot of work. Plus I loved the photo book I made in 2011 SO much that I’m not sure I can ever duplicate that again. But I sure am willing to try, so this next week I’m going to focus on having fun and reminding myself that it doesn’t have to be perfect to turn out awesome. Welcome to Week in the Life 2013. If you haven’t heard about Week In the Life before, Week In the Life is a week-long memory-keeping project hosted by Ali Edwards where the goal is to capture a week in your life using photos + words. This year she is running WITL from Monday, September 9th to Sunday, September 15th which makes today Day 1. I participated in Week In the Life back in July 2011 and I loved the end result so much I’ve been dying to do it again. I’d planned to do it last year in April and even though I wrote up a plan for 2012, I got about a day into it and realized enough time hadn’t passed for me to feel inspired by the project again. I felt like I was taking the same photos and telling the same photos and it just wasn’t inspiring to me at the time. I don’t want to do things differently for the sake of being different. Instead this year I’m going to stick with the plan that worked for me in 2011 using the same Blurb 8×10 photo book size but with an all new, fresh design. Capture Week: September 2nd to 8th – No, those dates are not a typo. SURPRISE! This week didn’t work well with Adam’s work schedule and some other stuff we’ve got going on, so instead I decided to get a jump on things and do all my “capturing” last week. But I’ll be sharing everything this week so I can play along with everyone else (and may even snap an additional filler photo here and there). Other than my Monday photos being from the Labor Day holiday it should represent a pretty normal week around here. Album: 8×10 Blurb Standard Portrait Photo Book with Image Wrap Hardcover – This is the size I used for my 2011 album and I loved it. To me it’s the perfect combo of size, price and ease of use. Plus I love the idea of having a little series of WITL photo books that are all the same size but from different years. 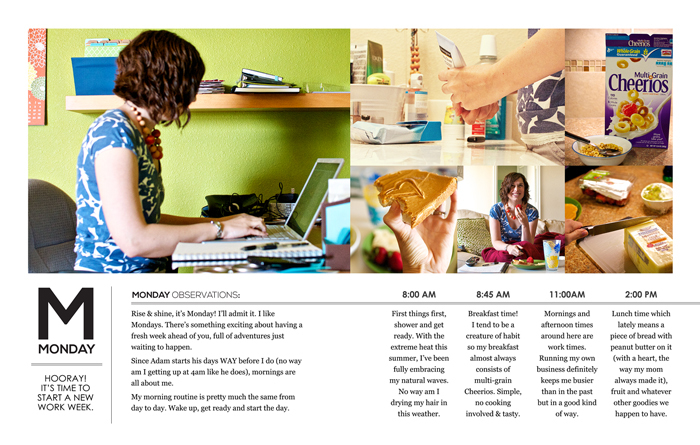 Design: Clean & graphic design in the style of my new Life Captured: Photo Book Templates. 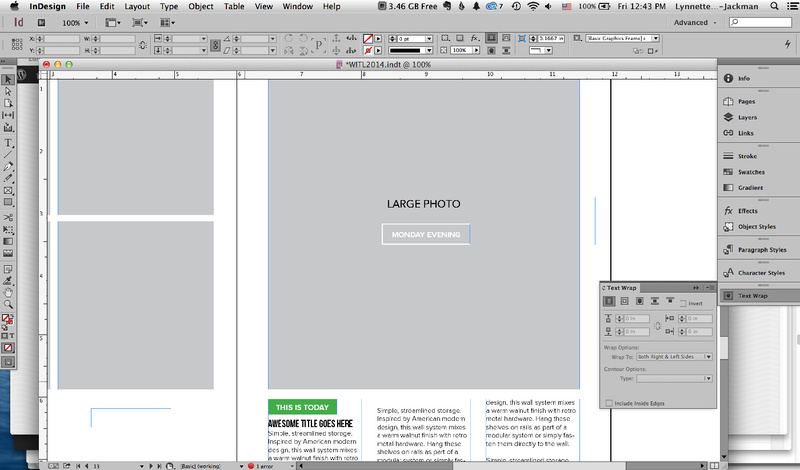 I will most likely put my pages together in Adobe InDesign so I can upload a single PDF to Blurb. Each day will have between 4-6 pages (2-3 two-page spreads) and then there will be 4 additional highlight pages at the end. Deadline: I’d like to have my album designed and printed by October 15th. We have some big stuff happening this month so that should give me plenty of time to get it done but won’t give me so much time that I forget everything. Project Life vs WITL: I’ve seen a lot of people asking how to handle doing Week In the Life at the same time as Project Life and the truth is, I’m not worrying about it. I’m so far behind in Project Life that I think it’s somewhat of a moot point anyway, but if I do eventually get “caught up” (blah, I hate that phrase), I will let my Project Life week be more of a fave photos/highlights from Week In the Life. Of course, if you want to get a jumpstart on your design plan, you can always pick up my Life Captured templates which I designed especially for this project. I hope you’ll be coming on this Week In the Life creative adventure with me! I’ll of course be sharing my progress and thoughts here on the Nettio Designs blog. 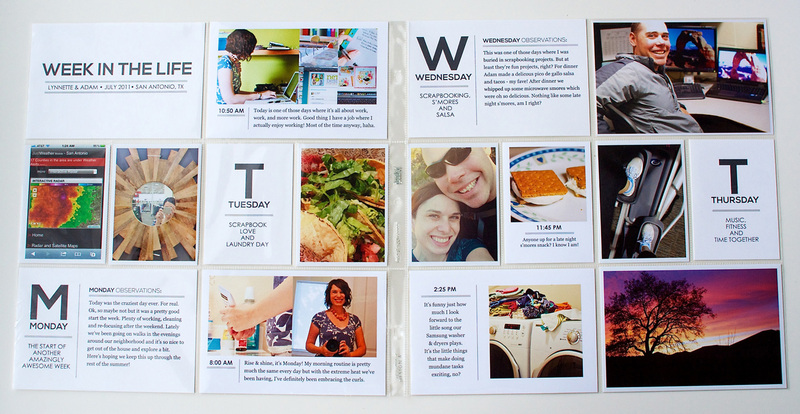 Looking for an easy but creative way to capture a week in your life? 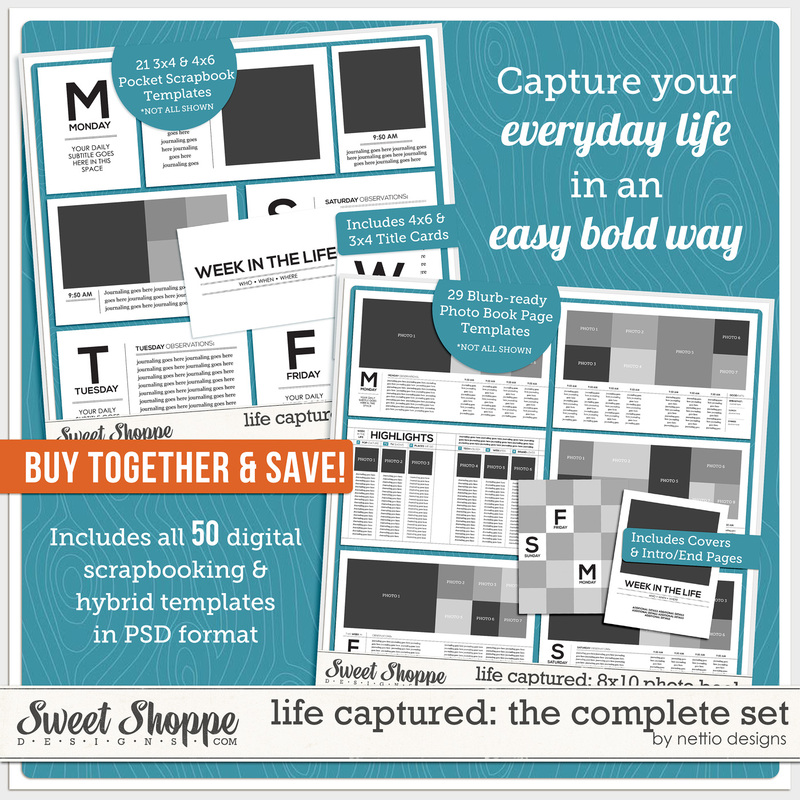 Pick up the Life Captured: 8×10 Photo Book & Bits & Bytes Scrapbooking Templates here. Woohoo, happy Sweet Shoppe Saturday everyone! I am super excited to share today’s new releases with you because they are designed around one of my absolute favorite scrapbooking projects I’ve ever done: Week In the Life. In case you haven’t heard, Ali Edwards is running a new round of Week In the Life starting on Monday, September 9th. I played along with her Week In the Life back in 2011 and I loved the end result so much I’ll be playing along again this year (and of course sharing my progress here on the Nettio Designs blog). You might think the hardest part of Week In the Life is the capture week, but in reality, snapping photos and jotting down a few notes is the easy part. The challenge comes in actually getting your photos and story from the computer into a completed album. Odds are if you’ve started Week In the Life before but didn’t finish, THIS is the point where you got stuck. 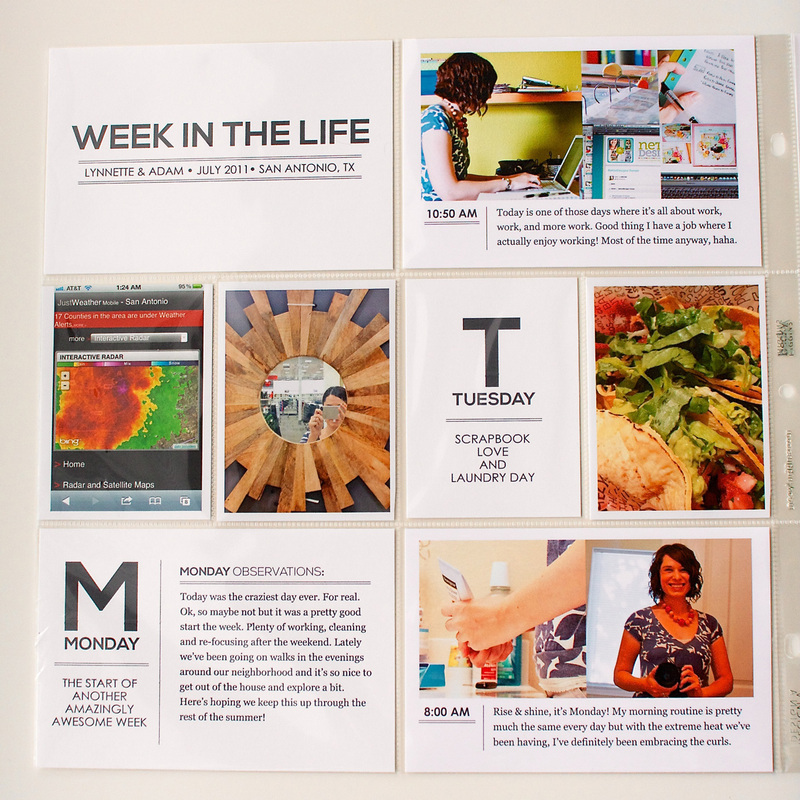 One of the lessons I learned while doing Week In the Life in 2011 is that having a design plan in place from the get go makes Week In the Life SO much easier to finish. Not only does it simplify the capture process because you know exactly how many photos/stories you need to capture (snapping 15 photos in a day sounds a lot easier than 75, no?) but it also takes out the guesswork once you’re ready to create your album. So I wanted to design products this week that would make the entire process ridiculously easy for you. Because seriously, having a completed album showcasing a week in your life right now is something you’ll treasure more than you know. It’s amazing to me when I look back at my album just how many big things have changed (new house, new city) but also how many little things have changed without me even thinking about them, like the food we eat or the phones we use. Capturing these little moments are exactly what Week In the Life is all about and I would hate for you to miss out on the magic of that just because the process seemed overwhelming. 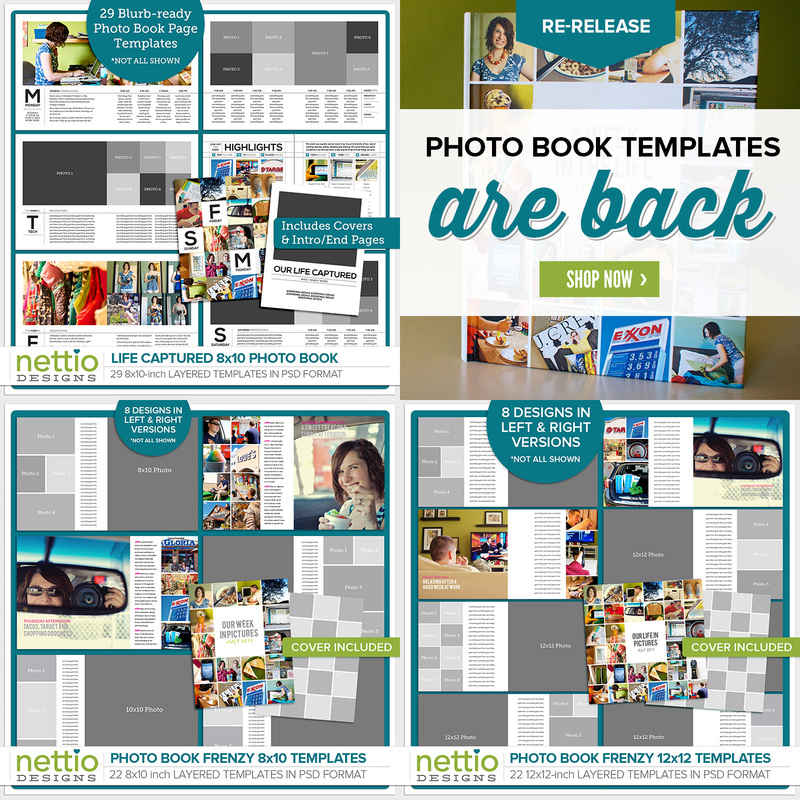 My first release this week are the Life Captured: 8×10 Photo Book Templates. These Blurb-ready templates have been custom designed to work with Blurb.com’s 8×10 Standard Hardcover Image-wrapped Photo Book. No need to worry about bleed or trim when you’re ready to print, I’ve done all that work for you!Just add your photos and stories to the templates, crop the two-page templates into single JPGs and upload to Blurb using their online Bookify or downloadable Booksmart tools. It really couldn’t be an easier. For each day of the week, I’ve included three two-page templates for a total of six pages in the album. You can use all three or if you have a day with a few less photos, you can leave out the second template and use only four pages. It’s totally up to you and what works for your life. In addition to the 21 day templates, I’ve also included 4 highlights templates designed to give you an overview of your week as well as capture a week in your life of fashion, technology and home decor. These highlights pages are some of my favorite to look back on from my 2011 photo book so it was a no-brainer to include them this time as well. What can be more fun than looking at your fashion choices from two years ago and realizing you still wear ALL of the same things which uh, totally did not happen to me, no not at all. 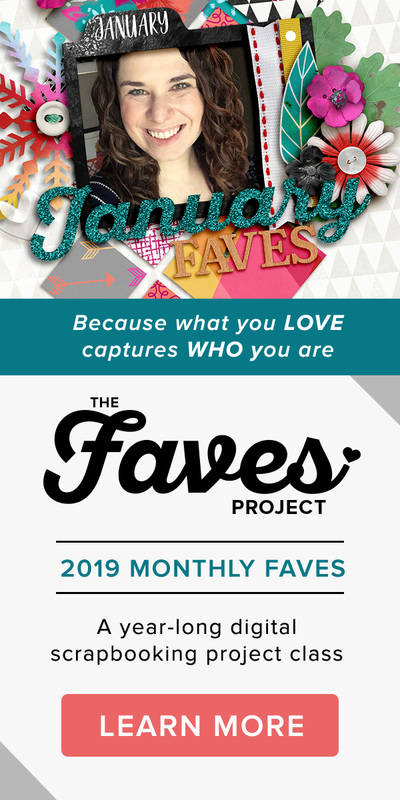 Here’s a few answers to the questions I’ve been asked most commonly about these templates:1) Will you be releasing a square version of these photo book templates as well?This year, unfortunately, no. I know square pages are the norm for scrapbooking layouts but that’s exactly why I love the 8×10 Portrait size so much. It’s not only makes this album feel that much more special but it really feels like you have your very own real book of your life. 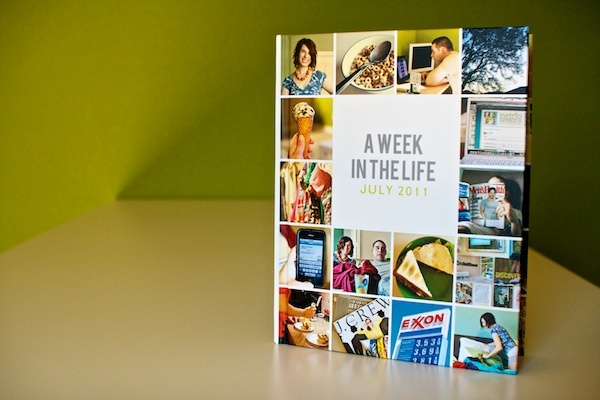 I used Blurb.com for printing my 2011 Week In the Life Photo Book and I was so impressed by the quality and ease of the process that it was a no-brainer to me to double-down on Blurb this time around. For the size, quality and price, they’re hard to beat. 3) What will the finished size of my photo book be? The Life Captured: Photo Book Templates have been custom-designed based off Blurb’s exact dimensions for their 8×10 Standard Portrait Image-wrapped Hardcover Book. The finished size of the cover pages are 8.433 x 10.267 inches and the inside pages are 7.877 x 10 inches. 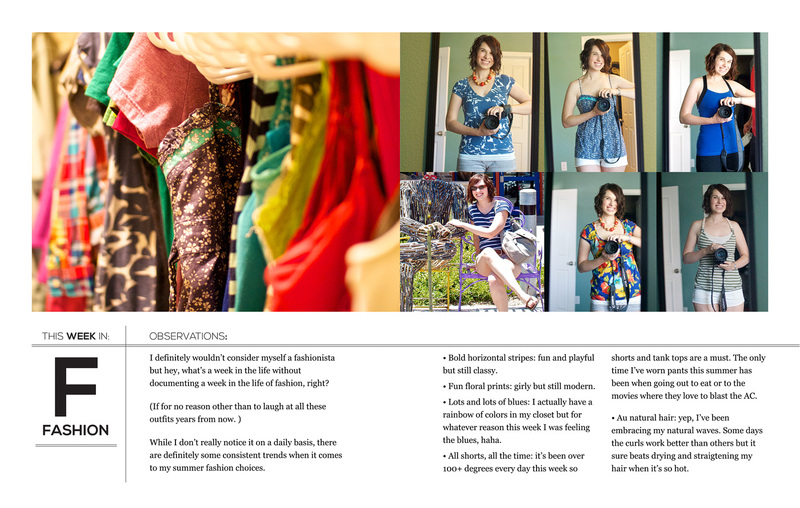 If you use all 29 included templates, your finished photo book will be 52 pages long. Any other questions? 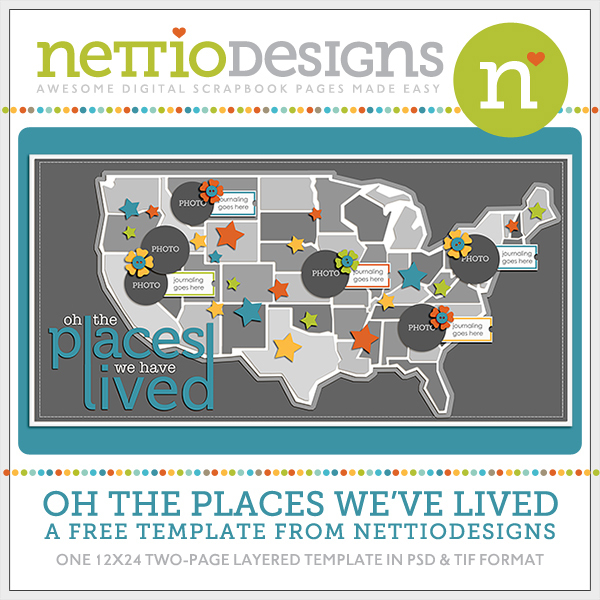 Email me at nettiodesigns at gmail dot com and I’ll be more than happy to help you out. 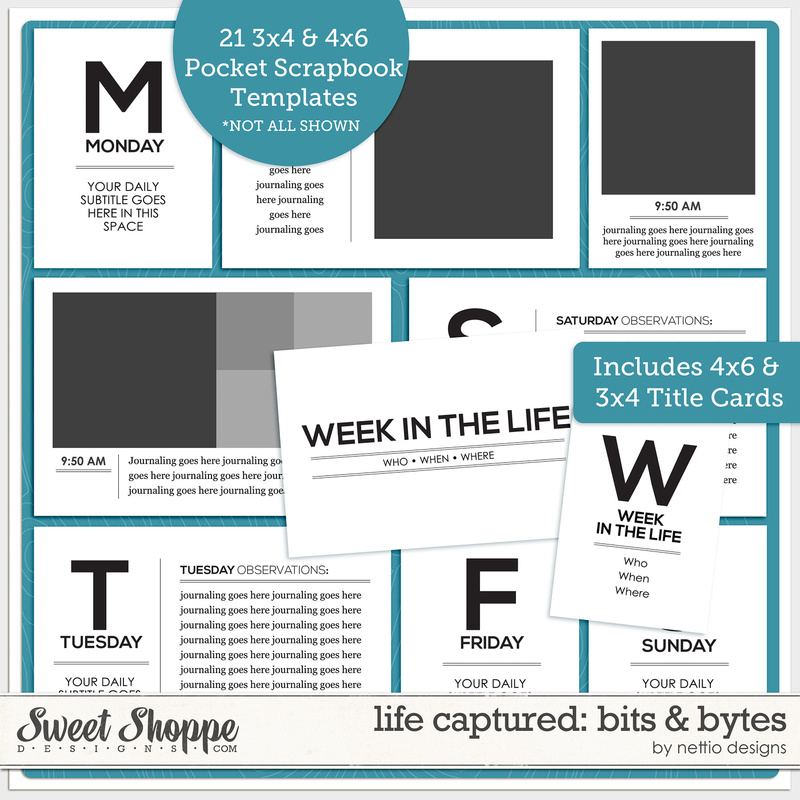 My second release this weekend are the Life Captured: Bits & Bytes Templates. 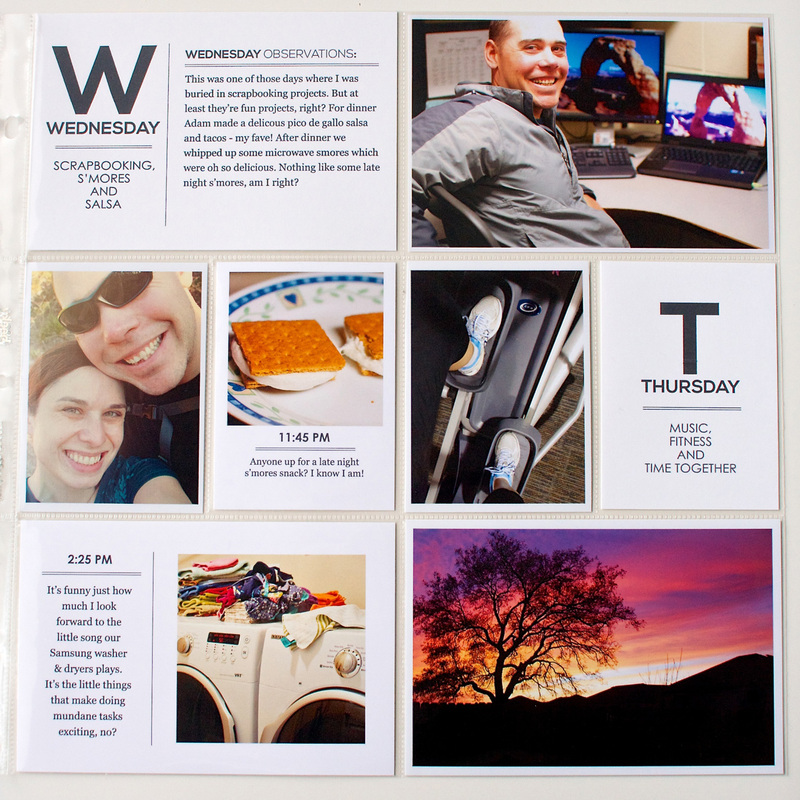 These mini templates include 3×4 and 4×6-inch cards perfect for capturing a week in your life pocket-scrapbooking style. Here’s a peek of these templates in action. 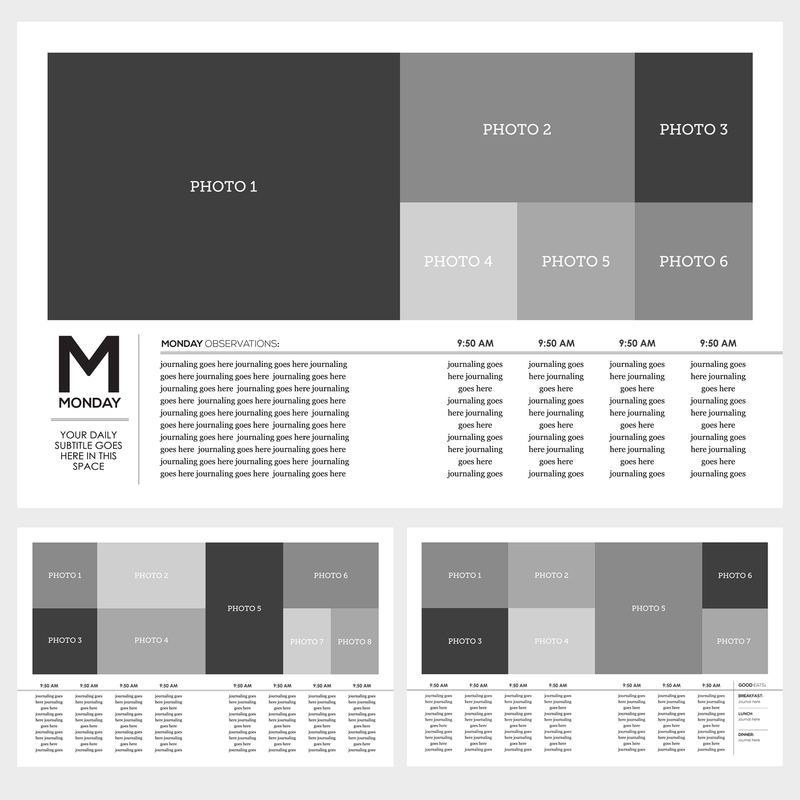 I chose to stick with a black and white color scheme so my photos would really pop but each element of the templates comes on it’s own layer for easy customization. Here’s a closer look at each page. The great thing with these is you could easily do a spread or two and be done! As with every Sweet Shoppe Saturday you can save 20% off all new releases thru Saturday…. Spend $10 & Get A Free Kit! 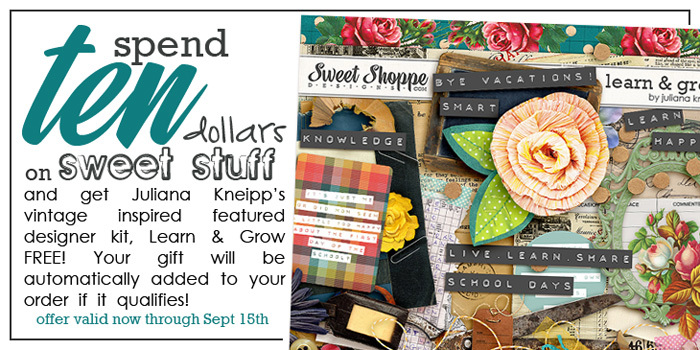 And finally, my time as the Sweet Shoppe Designs Featured Designer has come to an end but I’m happy to pass the baton onto the lovely Ju who’s designed this gorgeous Learn & Grow kit which you can pick up for FREE with any $10 purchase in the shoppe. Want to save 20% off this weekend AND get a free kit with your purchase? 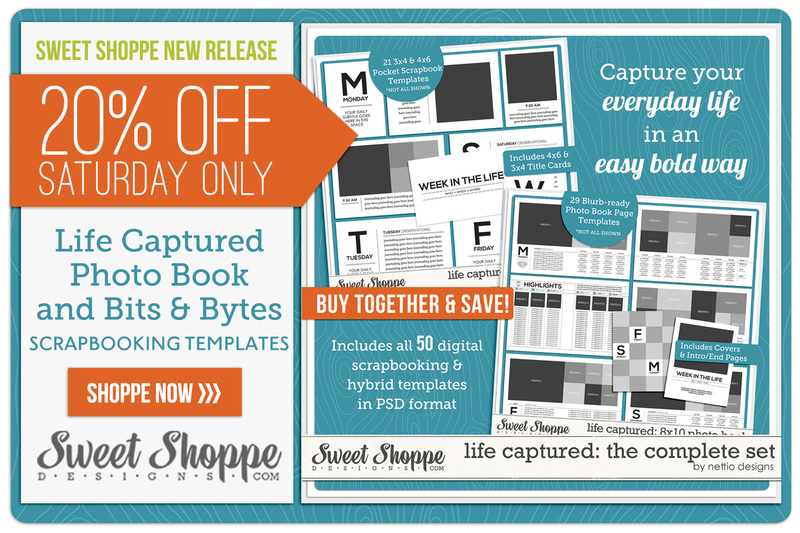 Pick up the Life Captured Templates today! Phew, that’s it from me today! I hope to see you all around next week for Week In the Life! I will be sharing my progress and how I’m using the Life Captured templates here at Nettio Designs and I can tell you, it’s going to be a blast. I can’t wait! And I’ll admit for a split second I was tempted to grab my trusty hammer and nails and make things look extra pretty. And then I got over it. 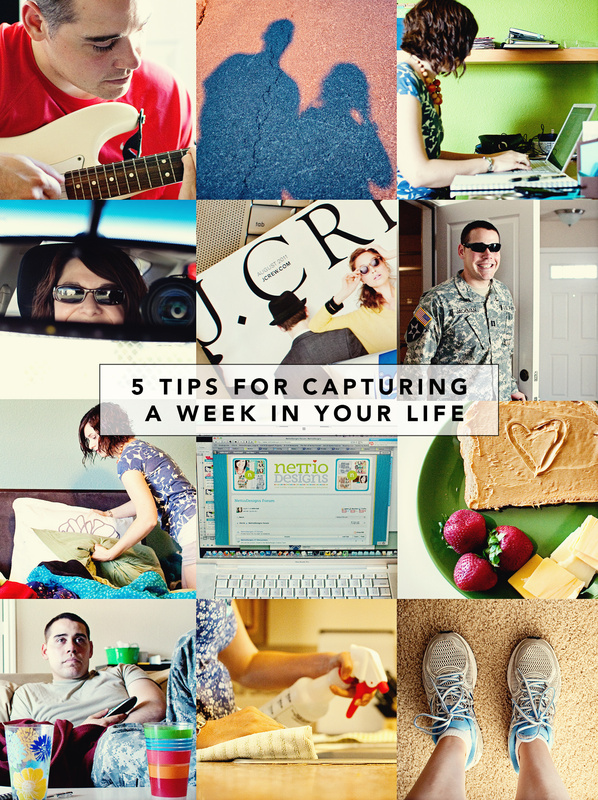 Because here’s the thing, capturing a week in your life is not about perfection. It’s not about waiting until your house is photo-worthy or perfectly organized and neat and tidy. Because that’s not real life. Real life is crazy. Real life is messy. Real life is a pile of mail on the counter, your kids neon-colored toys strewn about the living room and yes, a pile of dirty dishes on the counter. And capturing real life IS what Week In the Life is all about. So if you’re one of those people out there thinking maybe you should wait to do Week In the Life until your life is a bit more photo-worthy or perfect, I ask you to reconsider. Because not only will that “perfect” week never come, but because the magic of Week In the Life isn’t about the individual photos. It’s about the story those individual photos tell when you put them all together. And I promise you – once you see the big picture of your week all together, you won’t care about the less-than-perfect photos or the tiny details that seem like a big deal right now. You will see your real life captured. 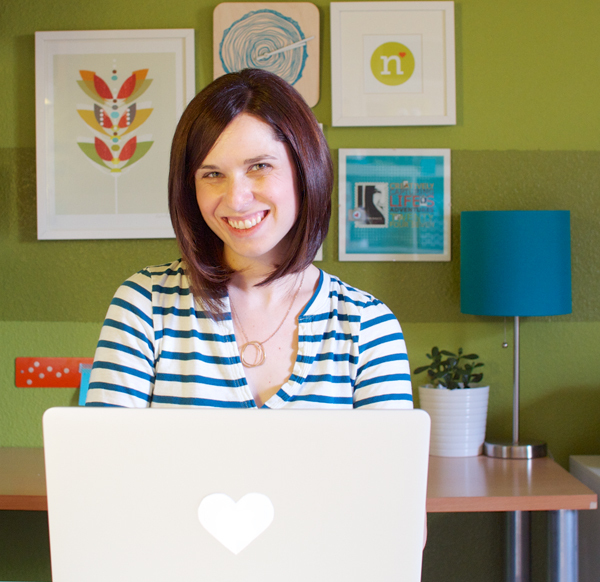 Psst…I’m spending this week capturing a week in my life – find all my 2012 Week In the Life posts here. You can also find my 2011 WITL posts here. Want to know what this whole crazy Week In the Life thing is about? Get all the details here. 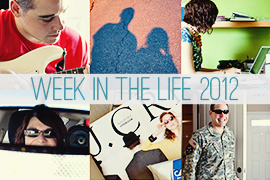 Woohoo, the 2012 edition of Week In the Life is finally here and I couldn’t be more excited! As I’ve mentioned before, this project is definitely high on my faves list and my 2011 WITL photo book I created last year is one of my favorite scrapbooking projects ever. So I suspect it goes without saying that I’m totally on board with this project for this year. But my biggest concern has been how can I make sure this album is different from last year? I mean, it hasn’t even been a year since I finished my album and as a family of two adults with no kids, it’s not like our lives are that different from last July. Well other than we aren’t melting quite as much here in Texas just yet, haha. 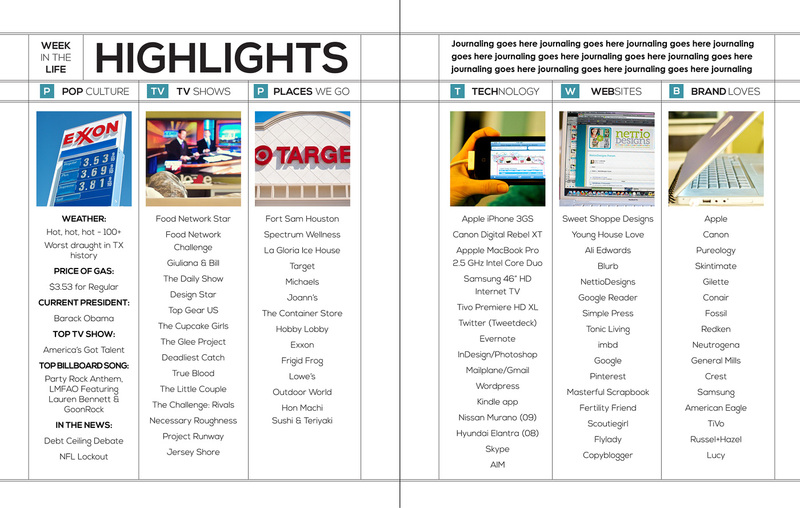 But I’ve come up with something I’m pretty excited about so here’s a little peek into my plan for Week In the Life 2012. I had such a great experience with Blurb for my photo book last year that I’ve decided to go with them again for this year. Only this time I’ve chosen to use their 7×7-inch Small Square book instead just to keep it interesting. But I’m still going to design it in Adobe InDesign like I did last year so it will also be a clean and modern design with the focus on photos and words since I loved how that look turned out so much last year. One of my concerns about doing WITL this year has been how can I push myself to make sure the photos this time are different from last time – that I’m not just taking photos of the same things from the same angle. So while I’m not normally a huge Instagram user, I thought this would be a fun time to play around with it and see what kind of photos I can get. Plus it’ll cut down on the amount of photo editing I have to do when I’m putting the album together. I’ll still be taking some photos with my DSLR but I think the mix of photos will be a fun change from last year. One of the things I loved about my WITL album last year was the highlights pages I included in the end. So I’ve decided for this year to take those pages to the next level and really focus this week on capturing a more broad view of our life rather than a day to day play by play of what we’re doing. I think it’ll be a nice twist on my album from last year. One thing I wished I’d done more of last year was capture more of our conversations so I’m going to be using my handy dandy notebook to try and capture some awesome quotables, hehe. And that’s pretty much my plan at the moment! As with anything I’m sure it’ll evolve as the week goes on but I’m really excited to see how it turns out! How about you? Anyone playing along with Week In the Life this week? I’d love to hear your plan! 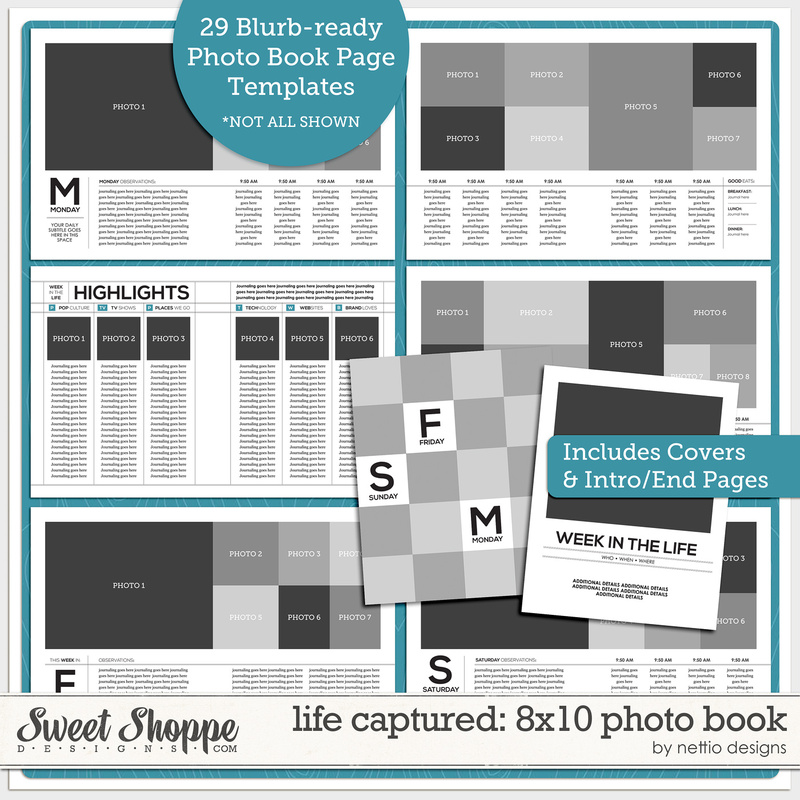 And of course if you’re still in need of some Week In the Life templates, be sure to check out my Photo Book Frenzy templates in my shoppe here or at Sweet Shoppe Designs. Want to know what this whole crazy Week In the Life thing is about? Learn more about Week In the Life here. You can also find my 2011 WITL posts here.